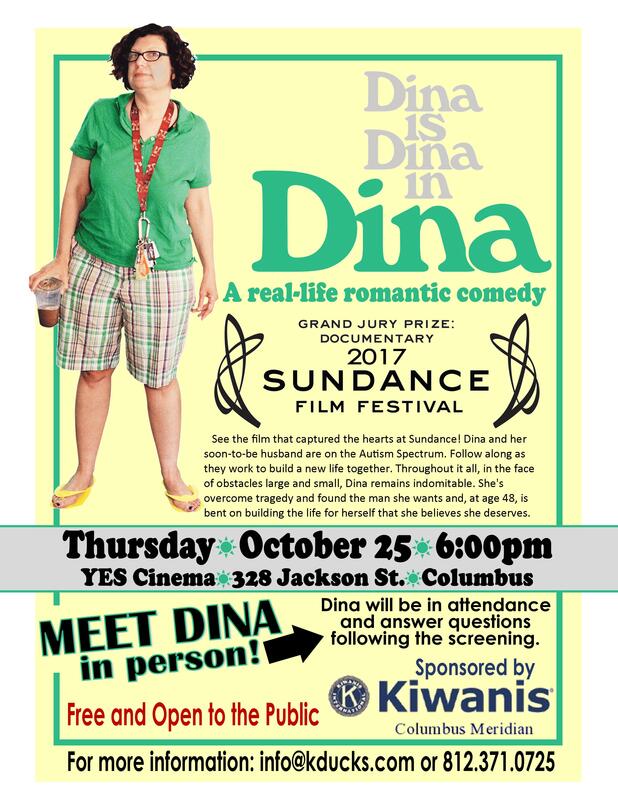 The Meridian KIwanis Club is bringing this Award winning documentary and it’s star, Dina Buno, to Columbus for a FREE VIEWING! “Dina” forces viewers to think about how we treat one another and how well we communicate our needs and desires. It reminds us that no matter how different we are, we’re all the same. And it makes us think about the community we surround ourselves with, and how our relationships shape and change us.